A national dashboard can take us to the next level in information sharing and efficiency. 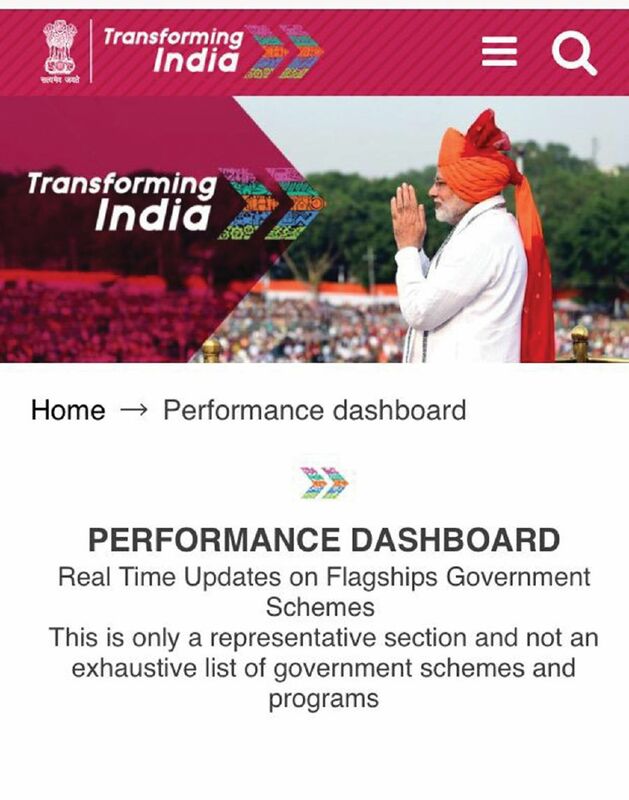 India is one country with a national dashboard. AFEW decades ago, there was a small book produced by the government to tell the story about Malaysia. It was called Malaysia in Brief. For many years, the book provided a glimpse of what the country is all about. It was a must-have item in all government departments as a quick guide to the national set-up. It was distributed to embassies and high commissions, trade and tourism offices abroad and was often brought along by trade missions canvassing for investments abroad. Anything you wanted to know about Malaysia was in that book. It provided the reader with basic answers to simple questions on the country’s administration, climate, currency, political system, culture and everything in between. One could get a quick geography or history lesson from the booklet, enough to raise one’s interest or satisfy some basic questions. Over the years, the booklet evolved and gave birth to other booklets. They focus a lot on tourism. There are also booklets and brochures on island tourism, hills and jungles besides specific guides pertaining to individual states. Most of these are printed and distributed by the government, whether by ministries or departments. There are also serious booklets on heavy subjects such as taxation and guidelines on investment policies and related matters. Heavy stuff, really. During my reporting days overseas, I could see these booklets placed on tables and distributed to participants at investment seminars and forums. I wasn’t sure if the foreigners found the booklets useful, though. with today’s answer, not with facts written a few months before. with the best the world has to offer. A national dashboard is perhaps the best way of reaching out to the masses, near and far. All information about the country, the people, government and everything in between can be fitted into the national dashboard with fingertip access to anyone anywhere in the world. The national dashboard can last a lifetime. At the very least, it can help increase transparency, which can be the hallmark of any administration in this day and age. A transparent administration will boost confidence all round. Anyone wanting to have any information about the country can obtain it easily and fast. Like I said, it’s all at your fingertips. The government (ministries and departments) can share data, services, tools and applications for public use. “clearing house for everything the government does”. Apparently, it’s not new. India already has one. Usually, information about the government and the country is available in institutional websites and is difficult for the rakyat to access. The national dashboard will make available all this information in one place in an easy-to- use manner. It may appear a bit simplistic, but people can come to one place for all that is needed, and get all the information they want from the government in that one portal. How big should a national dashboard be, you may ask. Really, size doesn’t matter. Content does. For example, it should serve as a storehouse for all important documents that are indexed and can be located easily. It should cover all policies and guidelines, besides having appropriate mobile applications for the people to use. The national dashboard won’t be complete without all the important news being made available in one place. It’s not that difficult to come up with the national dashboard. Content and navigation are the keys to its effective utilisation. Articles from various departments can be published on an ongoing basis. Come to think of it, various heads of key services should write their views regularly. This would help the people get the right perspective of what the government is doing for them. To complete the dashboard, it would be very important to help the people reach someone specific in a government agency should and when the need arises. A dedicated “key contacts” page will let people know who to contact for various government services. We have heard stories of how the people are taken on a wild goose chase, sometimes by incompetent and uncaring civil servants. Let’s put all that behind us. So there, in a nutshell, is a proposal for a national dashboard for our country, and to bring the national administration to the next level in governance, transparency, accountability and efficiency.